Christmas has all but passed and everyone’s eyes have turned to New Years Eve, allowing us to delve back into the archives and bring you a complete overview of what happened in the world of mobile. We’ve seen: the Android and iOS battle heat up, tablets launch to much fanfare and fail to capture consumer imagination, watched Nokia finally take action to reverse its falling smartphone market share and have witnessed the death and subsequent resurrection of popular mobile operating systems. It’s been a busy year for mobile, so sit back and let us provide you with our 2011 Tech Rewind. Two weeks into January, Apple placed a counter on its website which counted up to the ten billionth app downloads on the App Store, taking just 8 days to reach the milestone. As part of its promotion Apple wanted to reward its customers, so it offered a prize to the person who downloaded the 10 billionth app, a $10,000 iTunes Gift Card that can redeemed on Apple’s App Store but also to buy Macbooks, iPads, iPhones and iPods. The ten billionth app was an iOS game called Paper Glider, a title that was already pulling between 350,000 and 400,000 downloads a day to help secure its place in history. 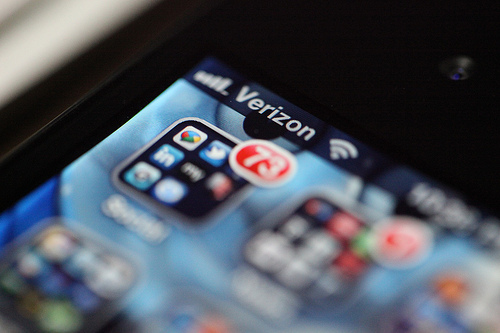 With three years of exclusivity on Apple’s iPhone in the US, AT&T saw Verizon began selling the iPhone 4 at the start of February. The device proved popular and in less than 24 hours, the Verizon iPhone 4 sold out causing the company to immediately pull its pre-order pages and begin shipping to lucky customers. Sprint, the third major US carrier, later announced availability of the iPhone 4S in October, ensuring that US consumers had a number of viable options to grab Apple’s new voice-activated smartphone. With sales of Symbian handset sales plummeting, Nokia took drastic action to reverse its smartphone fortunes and announced a “broad strategic partnership” with Microsoft, adopting its Windows Phone platform and committing to output new handsets by the end of the year. It took a while for the company to indicate its plans for the platform but Nokia CEO Stephen Elop outed what many thought would be the company’s first Windows Phone handset at an internal meeting in June. Five months passed before the Finnish mobile maker unveiled the Nokia Lumia 800 and Lumia 710 but the event did see the company deliver the same N9-like device that had been touted many months earlier by the Nokia chief. Nokia released the Lumia 800 in the UK in November and was reported to have gotten off to an impressive start as mobile operators announced the handset was selling out in stores and breaking records. The company then released a cryptic statement on its sales performance, commenting on its sales without mentioning figures and stating the device helped it have its “best ever first week of Nokia smartphone sales in the UK in recent history” — whatever that is meant to mean. Nokia later released the Lumia 710 in Asia and Russia, with the device set to become the company’s first Windows Phone handset to launch in the U.S.
Our very own Matt Panzarino says that the Lumia 800 is the first smartphone that would make him drop the iPhone — you can read his review here. HP Kills webOS — Or Does It? This article wouldn’t be complete without a mention of HP. Probably the world’s most recognised PC maker, HP announced in August that it would discontinue its operations for webOS devices including the then newly released TouchPad and any upcoming webOS phones. The announcement came as a part of the notice that it is purchasing software company Autonomy and spinning off its PC division. The company had seen dismal sales of the TouchPad, with US retailer BestBuy reportedly sitting on stockpiles of the device, contributing to the downfall of its webOS division. HP did declare it would continue to maintain its webOS mobile operating system, seeking partnerships with manufacturers to help push its mobile platform forward by attracting more end-users via more established smartphone vendors. It never materialised. Instead, the company announced a fire sale for its TouchPad tablet, offering the device at a heavily discounted $99 price tag. The decision to sell off TouchPads at such a low price whipped consumers into a frenzy, HP’s own website quickly sold out of its remaining stock, as Walmart and other major US retailers saw units fly off the shelves. In just over 24 hours, it’s reported that over 350,000 devices were bought – one Best Buy store in California telling me that they sound 140 TouchPads in an hour – recouping some of the $100 million in losses HP is predicted to incur as a result of reimbursing sales partners but also those who paid full price for the TouchPad prior to its death notice. As HP replaced its chief executives, the company’s webOS division languished as the company worked out its plans for the platform. It took until December 9 until it reached a decision, announcing that after an all-hands meeting, it would keep the webOS division but would submit much of its code to the open-source community. By contributing the webOS software to the open source community, HP hopes that it will see expansion on (and adopted by) developers and perhaps other companies looking for an alternative to Android or Windows Phone. Whether webOS can survive remains to be seen, many believe that it HP has signed its death warrant following its open-sourcing. After nearly a year and a half of waiting, Apple finally launched a new smartphone, the iPhone 4S. Shocking many with its identical design to the iPhone 4 and putting an end to speculation that the company would debut the new teardrop-shaped iPhone 5, the iPhone 4S launched with a new voice-activated assistant called Siri, an improved camera and new dual-core processor. Following the opening of pre-orders for the new iPhone 4S on October 7, Apple announced it had sold over 1 million units of its new smartphone in 24 hours, smashing its previous single day pre-order record held by the iPhone 4, with 600,000 units. Just days later, the Cupertino-based technology giant said that sales of its new smartphone had exceeded 4 million units over the first weekend (first four days), adding that it saw 25 million people install iOS 5 within the first five days of release. As a result, Apple had more than 20 million customers using its iCloud service, a platform that launched alongside its iOS 5 software, helping the company to move customer documents and data onto the Internet and reduce dependance on desktop software. Since its October release in the U.S, Canada, Australia, the UK, France, Germany, and Japan, the smartphone launched in more regions around the world, with Apple offering the device in more than 70 countries by the end of the year. 2011 was a big year for Android, seeing the release of Samsung Galaxy S II, the Galaxy Nexus and the introduction of Android 4.0 (Ice Cream Sandwich) to finally unite smartphones, tablets and additional devices with one release. Samsung saw impressive smartphone growth this year, enjoying sales of its Galaxy S and then its super-popular Galaxy S II and unofficially becoming the biggest smartphone maker by beating Nokia into first place. The company neglected to publish sales of its Galaxy S devices individually but did comment that it had sold 30 million units of the two smartphones combined. During Google’s Q2 Earnings call in July, Google CEO Larry Page talked about the various successes of its products. One of the most interesting of these that he shared was the fact that there are now 550,000 Android phones being activated every day. Google also stated that there were 130 million Android devices and indicated there had been 6 billion app installs from the Android Market. More recently, Google and Samsung announced and released the first Ice Cream Sandwich-powered smartphone, the Galaxy Nexus, delivering enhanced smartphone features inside one of the most powerful smartphone devices available today. Whilst the device launched in the UK without a hitch, its U.S launch was marred by delays and miscommunication by U.S carrier Verizon as it blocked Google’s NFC payment service Google Wallet over security fears. 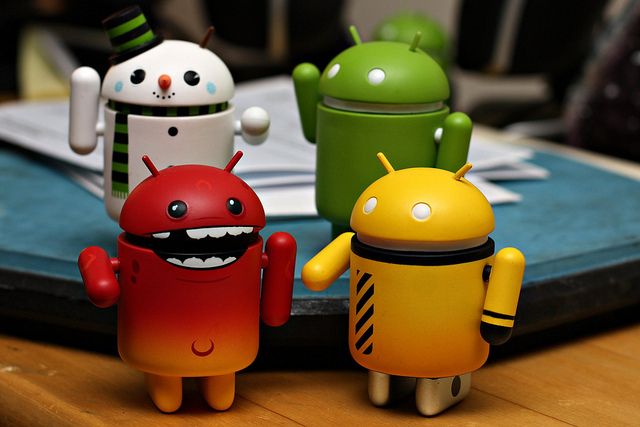 Google announced in December that Android activations had surpassed 700,000 activations per day, further confirming the company’s dominance of the smartphone market. After a few years of threatening to enter the mobile space after the release of its Kindle e-readers, Amazon finally delivered its first true mobile device — the Kindle Fire. Launching as a 7-inch forked Android tablet, the Kindle Fire pulled together Amazon’s new Android Appstore, its on-demand video service, Kindle e-reading products and services. Even though reviews of the device were poor in comparison to its competition, the Kindle Fire’s $199 price tag ensured that it became a huge seller for the Internet retailer with sales topping 1 million units for three weeks running. It also became the company’s bestselling product on its website for 11 straight weeks. Adding additional titles to its catalog, Amazon is reported to be preparing to launch its tablet device in the UK and other regions next year, taking sales from other Android vendors with their pricey tablets. 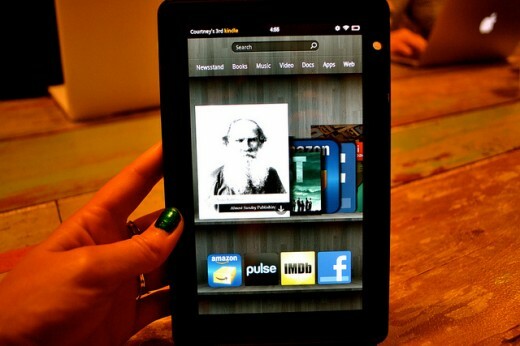 You can read our review of the Kindle Fire here. 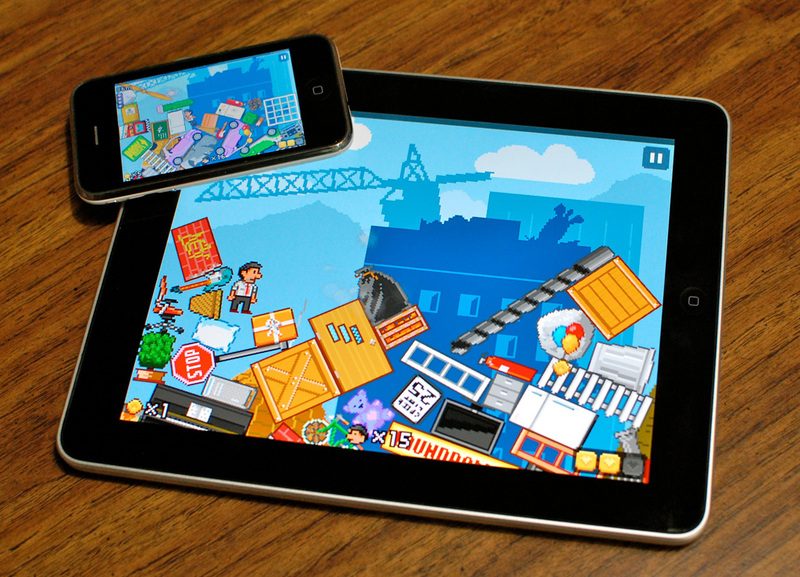 There are many services, devices and news stories that dominated the mobile landscape in 2011 — including the further growth of the Angry Birds franchise, the numerous legal fights between Apple, Samsung and HTC around the world and the subsequent decline of the Taiwanese smartphone maker’s revenue following increased sales of Samsung and Apple smartphones. Android tablets launched and failed in comparison to sales of the iPad, as analysts and researchers continued to compare actual sales with shipments. It’s been a fantastic year for mobile and it is only set to boom next year as more consumers migrate from their ‘feature phone’ to new smartphones. With CES and Mobile World Congress coming in the first two months of next year, mobile vendors will be rushing to deliver new dual and quad-core phones and tablets to tempt those looking for the latest and greatest mobile devices. What do you feel will be big in 2012? Let us know in the comments.